Entering this site or the links accessible through this site, you agree to be bound by this agreement. 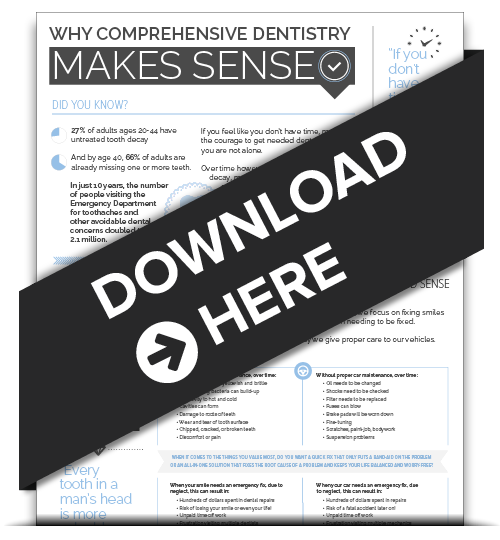 The information and the resources contained on and accessible through this site are made available by Stelzer Dental and/or its suppliers and vendors, and are subject to your agreement to their terms and conditions. All rights reserved, Stelzer Dental makes this Web site available to all users for the sole purpose of providing educational information on health-related issues. All materials on this Internet site, including the site’s design, layout, and organization, are owned and copyrighted by Stelzer Dental, or its suppliers or vendors, and are protected by U.S. and international copyrights. You understand and agree that neither Stelzer Dental nor its suppliers or vendors or linked domain names are responsible or liable for any claim, loss, or damage, of any kind, directly or indirectly resulting from your use of this site or the information or the resources contained on or accessible through it. Stelzer Dental expressly disclaims any implied warranty or representation about the information or accuracy, relevance, completeness, timeliness or appropriateness for any particular purpose of any kind. Your use of this site is also subject to all additional disclaimers that may appear throughout the site. This site also includes links to other Internet sites created and maintained by Stelzer Dental’s suppliers, vendors, affiliates, or subscribers. Be aware that Stelzer Dental does not control, makes no guarantees about, and disclaims any express or implied representations or warranties about the accuracy, relevance, completeness, timeliness or appropriateness for a particular purpose of the information or the resources contained on these or any other Internet sites. Further, the inclusion of these links is merely for your convenience and is not intended and does not reflect Stelzer Dental’s opinion on the accuracy or the importance of these other sites; further, Stelzer Dental does not endorse in any manner any of the views expressed in, or products or services offered by this or these other sites. All information in any site by Stelzer Dental, or associated or linked site, is extracted, read, used, or relied upon by you at your own risk. Stelzer Dental and its suppliers and vendors disclaim all express or implied representations or warranties with regard to the information, services, products, materials, and any other resources contained on or accessible through this site, including without limitation any implied warranties of merchantability or fitness for a particular purpose. All information provided by Stelzer Dental is made available “as is” and “as available” without warranty of any kind, or any express or implied promise, including, by way of example, its continuing availability. With respect to products, goods, or services purchased from any entity identified, listed, named or contacted through Stelzer Dental’s Web site, or any links to Stelzer Dental’s Web site, to the maximum extent permitted by applicable law, in no event shall Stelzer Dental or its suppliers or vendors be liable for any direct, indirect, special, punitive, incidental, exemplary, contractual, or consequential damages, or any damages whatsoever of any kind, resulting from any loss, which by way of example, includes loss of use, loss of data, loss of profits, business interruption, litigation, or any other pecuniary loss, whether based on breach of contract, tort (including negligence), product liability, or otherwise, arising out of or in any way connected with the use or performance of this site, with the delay or inability to use this site, or with the provision of or failure to make available any information, services, products, materials, or other resources contained on or accessible through this site, even if advised of the possibility of such damages. You agree to indemnify, defend, and hold harmless Stelzer Dental and its suppliers and vendors from any liability, loss, claim, and expense (including reasonable attorneys’ fees) related to your violation of this agreement or use of this site in any manner. Your use of this site shall constitute your acceptance of the terms of this Agreement, as revised and modified, if any, each and every time you access this site. Stelzer Dental may modify this agreement at any time, and such modifications shall be effective immediately upon posting of the modified agreement. Stelzer Dental’s failure to insist upon strict enforcement of any provision(s) of this agreement shall not be construed as a waiver of any provision or right. This agreement and the resolution of any dispute related to this agreement or this site shall be governed by and construed in accordance with the laws of the State of Pennsylvania, without giving effect to any principles or conflicts of law. Any legal action or proceeding between Stelzer Dental or its links, suppliers or vendors and you related to this agreement or this site shall be brought exclusively in a state or federal court of competent jurisdiction sitting in the County of Montgomery County, Pennsylvania. All materials on this Internet site, including the site’s design, layout, and organization, are owned and copyrighted by Stelzer Dental or its suppliers or vendors, and are protected by U.S. and international copyrights. This website resource allows you to learn information related to certain health topics and find health service providers in your area by linking you to individual health service provider’s web sites. Due to the nature of this web site, Stelzer Dental cannot check or verify the accuracy of information contained on health service provider’s web sites. The inclusion of any link to such sites does not imply endorsement, sponsorship, or recommendation by Stelzer Dental of these sites. Stelzer Dental does not warrant the accuracy of information obtained from these web sites. You are advised to conduct your own thorough review of the health service provider (“provider”) prior to retaining or taking advice from that provider. Advice given and opinions expressed throughout providers’ sites are those of the provider, not of Stelzer Dental. Stelzer Dental’s expressly disclaims all liability for any actions taken or not taken by you based upon any or all advice given or any service provided by the provider to you. We understand that your health information is personal to you and we are committed to protecting information about you. However, we have no control over the information contained on a provider’s web site and in linking you to a provider’s web site, we do not warrant that any health information provided by you will be protected or treated in a manner complying with privacy laws including the Health Insurance Portability and Accountability Act of 1996, regulations enacted thereunder, or applicable state laws. Stelzer Dental expressly disclaims all liability for any wrongful disclosure of your health information by the provider. Stelzer Dental places the utmost importance on protecting information transmitted via this web site and will take security precautions to protect all such information. However, Stelzer Dental cannot guarantee that any electronic communication is totally secure. Stelzer Dental will take measures to secure and protect all customer-specific information from loss, misuse, and alteration. These Terms and Conditions shall be construed, interpreted and performed exclusively according to the, excluding conflict of law rules, of the State of Pennsylvania, United States of America. Any legal action with respect to any transaction must be commenced within one year after the cause of action has arisen. This site contains links to other sites. Stelzer Dental is not responsible for the privacy practices of other sites that are linked to us.